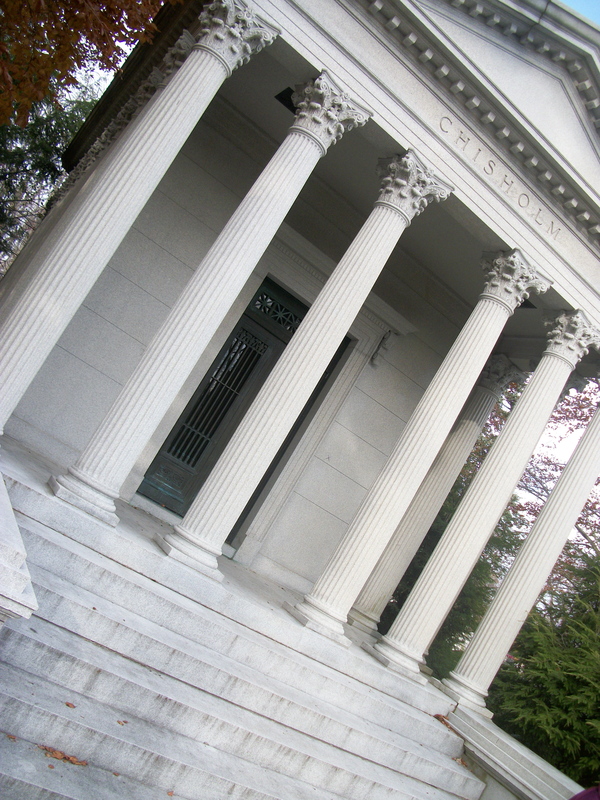 A few weekends ago, Josh and I took a docent guided tour at Portland’s Evergreen Cemetery. 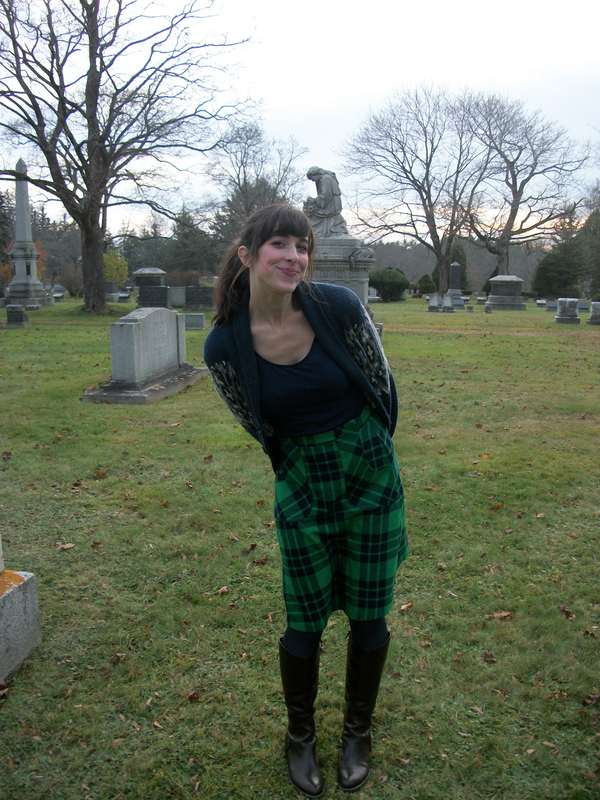 The weather was idyllically cool and windy – perfect for a November stroll in the graveyard. There were lots of brown leaves to crunch around in, and we saw a dog in a wheelchair (sort of like real life Cute or Sad? on Cuteoverload.com). I was thoroughly impressed with the breadth of our guide’s knowledge – she had researched most of the stops on the tour independently due to personal interest. 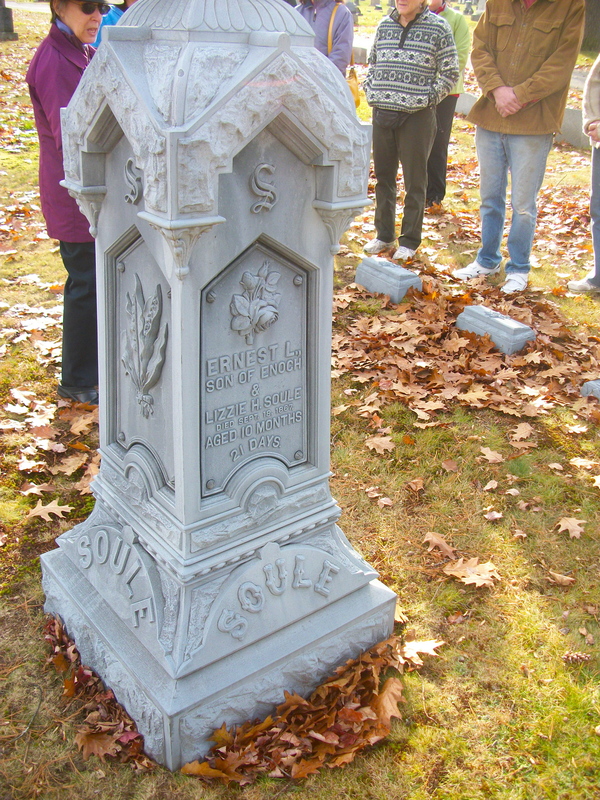 Furthermore, several people on the tour offered up their own knowledge of local history to the group. It was a great way to spend a Sunday afternoon. 1) Waiting for the tour to begin. 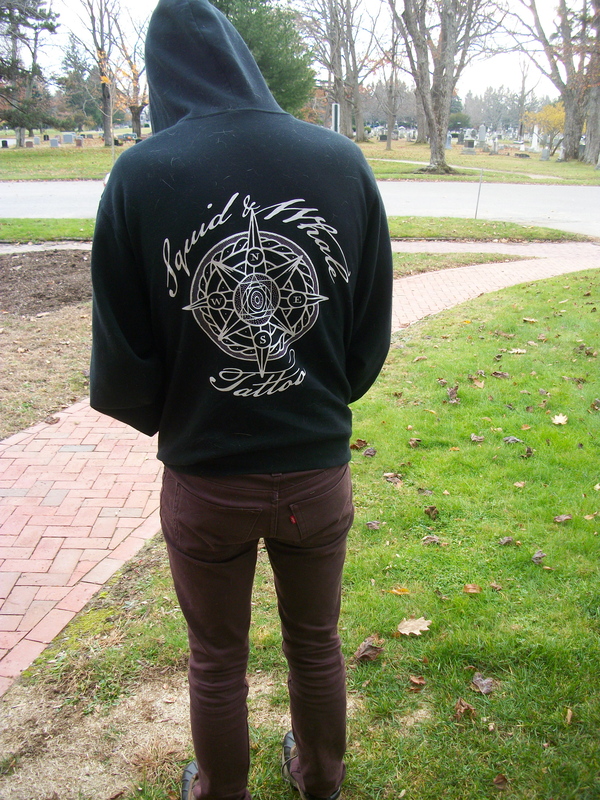 2) Hanging out near Neal Dow’s resting place. 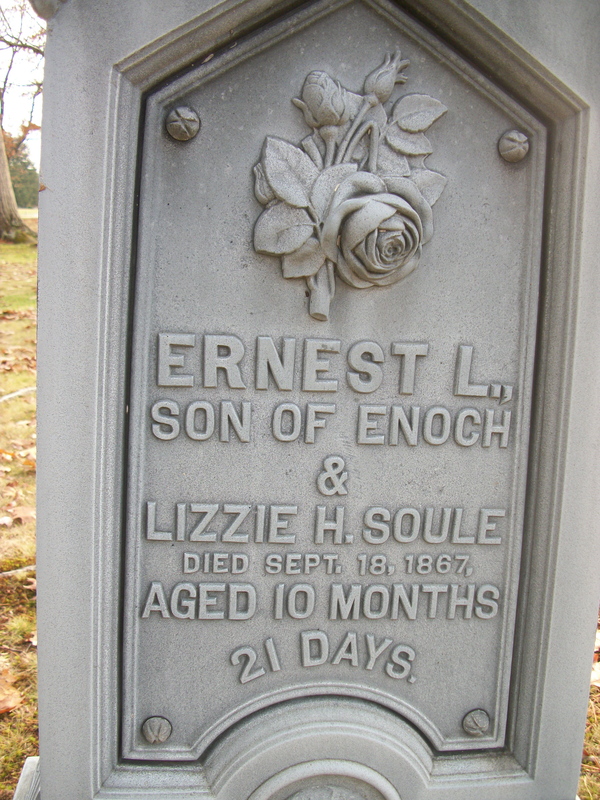 3) This was our first stop on the tour, a headstone made of “white bronze” (zinc). 4) As we learned from our guide, the broken stem on this rose is symbolic of an infant death. 5) The massive Chisholm Tomb, complete with Tiffany stained glass window. 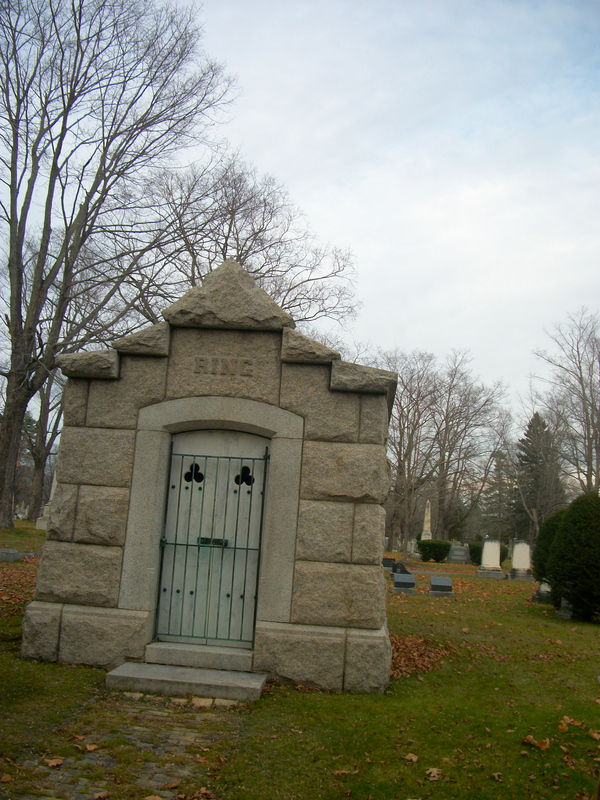 6) Apparently, the man buried here was exceedingly philanthropic and kind. Today I baked Thanksgiving snacks with my mom and brother. I’m pretty thrilled about all of the homemade food we’ll be consuming tomorrow (and the day after that, and so on). I have pictures from the preparation, but will wait to post them with my Thanksgiving shots. Hope everyone has a happy holiday!